We asked well-known veterinarian Dr Katrina Warren, of “Totally Wild and “Harry’s Practice” fame, what questions we should ask. Her recommendation was that it’s “important to ask/be invited to have a tour around the facility, so you can be comfortable with hygiene and level of care”. 2. Cleanliness; How often does your pets enclosure get serviced? Lindsay Stordahl, the author of ThatMutt.com suggests that whilst having your tour of the facilities, always be aware of how clean the enclosures are. Are there any strong or abnormal aromas present? Ask the staff what time of day and how often the pens get cleaned? Does your pet have a large enough area to sleep in away from where they soil? Does the bedding look clean? Will your pet be boarded with others? For dogs, being pack animals this may be a good solution if your dog is sociable. According to PetMD.com, dogs should have enough room to allow them to break into a run, whereas cats are more solitary by nature but need enough room to move around freely and exercise isometrically (by stretching). Ask how often your pet will be fed each day. During your tour, check that there is plenty of access to clean water at all times. NSW Animal Welfare Code of Conduct for example, sets standards to ensure that owners or managers of facilities maintain appropriate food and water, and protect animals from disease, distress or injury wherever possible, whilst in their care. How many animals are boarded at any one time and what is the ratio of pets to carers? PetGuide.com advises that a good rule of thumb is that the dog boarding facilities should have for every ten dogs, at least one staff member. It’s important to check the enclosures to ensure that your dog or cat can stand, move around freely, stretch and fully rest, and that the enclosure is a safe and sheltered structure, free from any protrusions or dangerous objects. 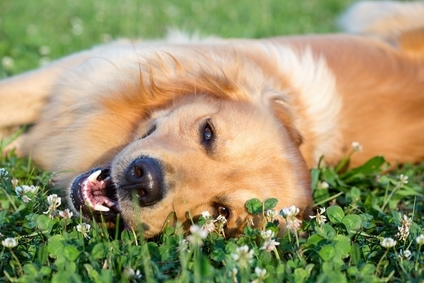 What type of exercise and for how long each day is included in your pets stay? Is there a play area or run and will your cat or dog be sharing the area with other cats or dogs? Inspect the area, make sure you are happy with the size, cleanliness and its security. Also notice whether there are any dogs or cats in the play areas, whilst you are touring the facility. Finally, you should always be aware up front what your boarding fees will be and what are their inclusions? Will you be charged extra for special dietary requirements, or for administering your pet’s medication? Can you negotiate a better rate for a long-term stay and does the fee include the day of drop off and the day of pickup? Are there any cut off times, when you may be charged an extra days stay?